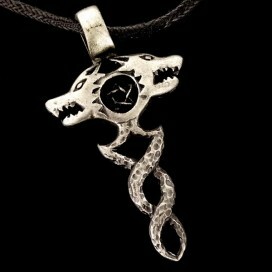 Caduceus. A symbol of health from the ancient Greek culture. 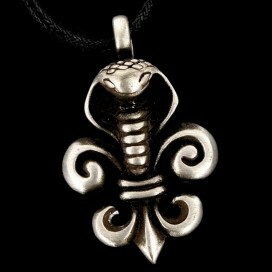 It consists of two snakes wrapped around a staff, bringing a positive balance between the four elements. The healing properties of these elements favor good health, the overcoming of addictions, and the cure of diseases. 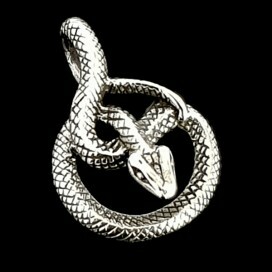 Initially, the symbol consisted only of the two snakes, and was the tool of a god from the ancient Mesopotamia that cured all the diseases. 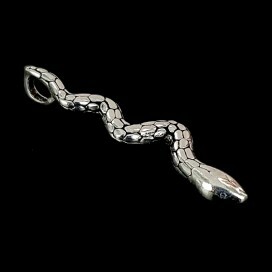 Afterwards, the Greeks added the staff of their deity Hermes. 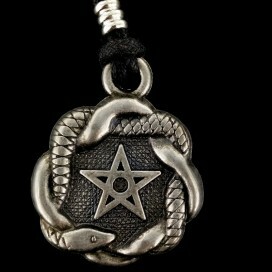 The snakes symbolize fire and water; chaos and order. 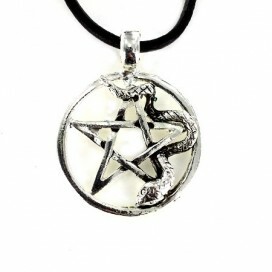 Metallic pendant. With cord. Approx. size: 32 mm. 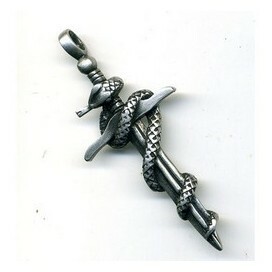 Pewter pendant. With cord. Approx. size: 39 x 51 mm.